Monday, October 1st, 2012. Now that’s a special date on the calendar of Walt Disney World! As everyone knows, Monday will be the 30th Anniversary of the opening of Epcot! Much like last year’s 40th Anniversary of the Magic Kingdom and Walt Disney World, this weekend is seeing a lot of people travel to Walt Disney World for the celebration, as well as for the kickoff of the 17th Annual Epcot International Food & Wine Festival, and I’ll bet a bunch of them will also be at the Walt Disney World Moms Panel Meet & Greet! For all of you that are going to be down there, have a fun and safe trip and enjoy every moment of the fun! If you are of a mind to do so, please feel free to send Disney pictures on up to the My Dreams of Disney Facebook Page! If you want to email them, send them to the email address facebook@mydreamsofdisney.com. Thanks! So, will you be there? 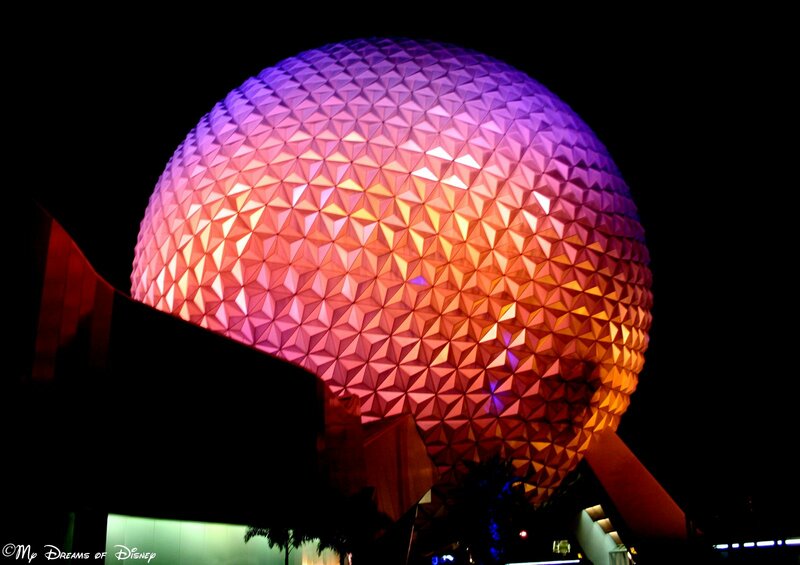 What is your must-do thing at Epcot on the 30th Anniversary? Tell us in the comments please, we would love to know! I started planning this trip over a year ago, before I even knew it was the Epcot 30th anniversary. I am so excited for the anniversary, that so many of the Mom’s Panel members will be there and, of course, the start of Food & Wine! I’ll be there with about 30 of my Disney friends, and I can’t wait to make more Disney memories! Christa, have an incredible time! I wish I could be there, but that’s okay. Have a lot of fun, and drink it all in! Thanks for commenting! We will be traveling to Disney in 2 months, a week shy of my 30th Birthday to celebrate! Do you know if I can still get my “I’m celebrating my Birthday” badge if it is not my exact birthday, AND where do I go in Epcot to get it? Happy early birthday Rachel! The official policy of Walt Disney World is that you can get a birthday button up to 6 months before or after your actual birthday — so basically, you can celebrate your birthday year round! At Epcot, I believe the place you’ll want to get your button will be Guest Services, which is just past Spaceship Earth on the left side. Next Post: Who wants to win a $100 Disney Gift Card?